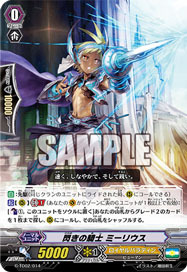 [A] [(V)/(R)]: [Retire 1 of your other Rearguards with "Ancient Dragon" in name] When this attacks a Vanguard, if you have a ::Tachikaze:: Vanguard, you may pay cost. If so, this gains +5000 Power for the battle. They are not lacking in bait.